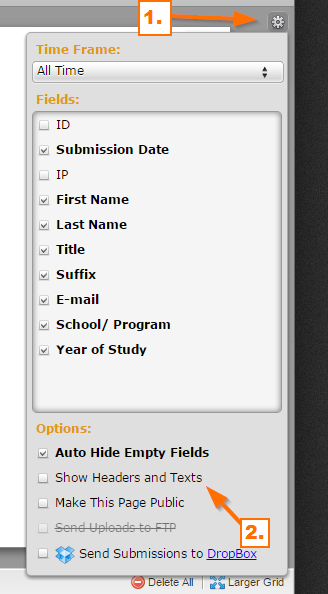 3) The "Headings" for the sections in the form are not showing when I do a test submission. I've checked your screencast video that you made, thank you for taking time in showing us your concerns and questions. For the headings of each section, would you like to show it in the submissions? You can do that directly in the submissions settings. First, navigate to the Submissions page. In the submissions page, click the gear icon and tick the "Show Headers and Text" option.